1) Decide if your work situation is really that bad or if you have let office gossip taint your perspective. Also consider if you are letting a fixable problem fester instead of doing something about it. 2) Commit to fully engaging in a stealth job search. 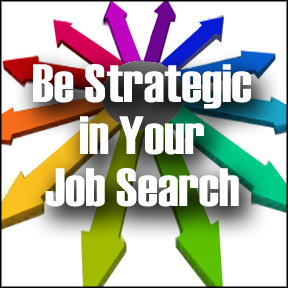 A stealth search is one where you keep your job search on the down low so it won’t jeopardize your current employment. Note I said “commit.” That’s important. Many miserably employed people are immobilized by fear or procrastination and don’t take action … staying in a bad situation for years … all the while losing their confidence, energy and joy. Stop that! Prepare now for opportunities that will come … it will build your confidence and restore your hope for a better career. 3) Refocus your mind from your bad job drama to the pursuit of an outside passion. Take salsa dancing ... design jewelry ... build a bookshelf ... write a book ... do something to free your mind from negativity (which can only make your work situation worse and you less attractive to hiring companies). Pursuing such a passion may even lead you to a new business or career, but even if it doesn't, it can help you see that your job predicament is not your whole world. 4) Complete an action plan to determine the job you want and how to land it. 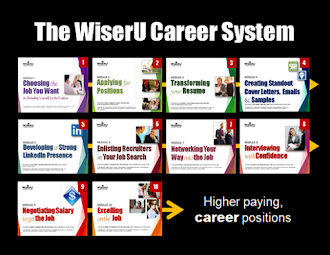 Visit my Printable Resources page to find a Career Search Action Plan, as well as a Career Search Checklist and other free resources. Don’t tell your coworkers you are unhappy or job seeking. The word will spread quickly and can be used against you. Don’t broadcast your job search or air your dirty laundry on your LinkedIn status bar or group discussions, or on your Facebook wall. Social networking can be useful, but if you want to remain employed while job seeking, communicate privately to individuals who can help you; never in an open forum. Do un-friend bosses and coworkers on Facebook and make your wall private if your conversations there could hurt your job prospects. Note: People do not receive a notice that you un-friended them, but they may notice they can no longer view your wall. Explain to them that due to problems you’ve had with the site, you’ve curtailed your activity on it. Do stop being connected to bosses and coworkers on LinkedIn if you plan to markedly change your status or join job seeking groups. - Type the person's name into the "By name" box. - Hover over the person's entry in the list until options such as Tag, Connect, Message, and More appear. - Click More and then click "Remove Connection". - You can re-initiate the connection later if you wish. Note: People do not receive a notice that you disconnected from them, but your name may show up in their "People You May Know" box as a potential person to invite to connect. If they invite you to connect again, simply click the Ignore link in the invitation message. Do temporarily change your LinkedIn settings to not show your network updates when you join job search groups, follow companies or change your LinkedIn profile. Otherwise, your connections will receive a notice of these activities in their network updates. - Scroll to Privacy & Settings from the drop down menu that appears. Click "Review". - Under Privacy Controls, click the box to turn off your activity broadcasts. - Also turn off the option: "Select who can see your activity feed". After you’ve made all of the changes you wish, switch your settings back so connections can view your network updates and see that you are an active, engaged LinkedIn participant. Do contact people who can help you. Send them your resume, tell them what kind of job you seek, ask them to refer you and send you leads. Most importantly, keep in touch with influential people so that they know your career status and that you still want their help in landing a different position. Make an e-mail contact list to make it easier to keep in touch with helpful people. 6) Improve yourself on your current company’s dime … This is a win/win deal for you and your company. Figure out your weaknesses (the things you need to improve before other companies will hire you) and gain that knowledge now. Take classes, learn new software, ask an accomplished coworker to teach you things, etc. By learning new skills, you will become a better worker for your current company and perhaps, a more qualified candidate for a better internal job. 7) Become a leader in your field on LinkedIn by sharing your knowledge. Determine what aspects of your field you are most qualified to share. For example, if you are a fundraising professional who has been involved in a capital campaign, share that knowledge in LinkedIn group discussions. A friend of mine became a thought leader on fencing, a sport that had been his passion for years. I was always good at helping friends get work, so I started sharing job tips on LinkedIn. From there the Getajobtips.com blog was born. It’s easy to participate in a LinkedIn group … simply join a group, get accepted and start talking. Doing so can make a huge difference in how people perceive you. I toiled at progressive communications positions for 20+ years, but it wasn’t until I started participating in discussion groups that peers noticeably began perceiving me as a communications leader. If you are wearing the battle scars of a bad job, decide today to take action -- doing so can help you land a better job. What tips have you tried to find a job while still employed? Share your ideas by clicking Contact Us.